Good afternoon all, hopefully the return to work from the weekend hasn’t been too hard on you. Things are going quite well here, even the weather seems to have cheered up a little. Anyway, every Monday afternoon we post a list of our special offers for the week. It means you guys have as long as possible to check things out before deciding if you’d like to pick them up while they’re at a reduced price. Anyway, this week we’ve got a few really nice bits and pieces on offer, including Intel’s X25 SSD, Belkin’s Gigabit Powerline HD starter kit, a Radeon 5670 and a Pioneer surround setup. For a very long time indeed, the SSD was a very expensive option indeed, but Intel has attempted to remedy that, offering solid-state storage on a wider scale for less-than-bankrupting sums… which is always nice. Intel’s X25 is, in case anyone missed it, a solid-state drive. As with the vast majority of SSDs, it’s a 2.5-inch drive, so it should fit into a laptop without any real bother. Moreover, because it’s solid-state you’ll see faster read and write speeds than most standard hard-drives, which should mean a quicker boot… which is always nice. Your data will also be that bit more secure when it comes to the drive being knocked around a little in transit, thanks to the fact that the drive has no moving parts. All in all, it’s a solid drive, and one that we’re genuinely pleased to be able to have on offer, because it’s attracted an awful lot of attention over the last couple of months. Intel’s X25 80GB SSD is down to €199 this week, which isn’t bad at all when you consider the upsides of a nice SSD. AMD had a pretty poor start to the week as news filtered out over why the expected release of their ATI Radeon HD 5830-based reference boards failed to take place as planned on Monday. Apparently the folks in charge decided to recall the affected boards for further testing after a “last minute issue” cropped up during the validation process. The issue in question is reported to be related to circuits on the board which are triggering an error on card makers’ software testing platforms. With video card competition growing, AMD didn’t need this headache with the HD 5830. 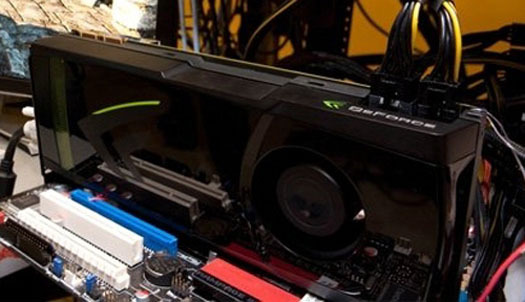 Slashgear make the point that with “video card competition is hotting up right now” the last thing a company wants is unexpected problems with their new product. 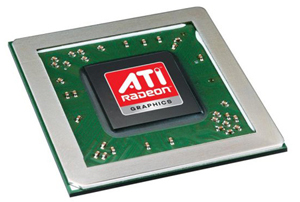 AMD, “declined to comment on the recall rumors” and indeed claimed the Radeon HD 5830 is undergoing the regular batch of testing any graphics chipset would go through. With the Intel Core 2 finding itself phased out late last year, the Core i3 – along with Core i7 and Core i5 – has been released to generally good reviews thus far. Considering how utterly successful the Core 2 processors were Intel has a lot of eyes focusing on their work this time around. However, as we sifted through some of the reviews out there of the i3 530 and 540 since their release a few weeks back, it became clear that Intel has met most expectations. The two Core i3 models are dual-core, hyper-threading-equipped CPUs with 3MB shared L3 cache which is DDR3-1066-compatible. While most run-downs on the merits of the new range note that the Core i3 and Core i5 CPUs are “intended to be slower” than the i7, they are considerably cheaper to boot. Good evening all, with night time managing to stay away until just when we’re leaving work, I think it’s safe enough for us to say that we’re through the best part of Winter now and into the Spring, which is always pleasant. It’s a relatively simple pleasure, but it’s hard to deny. 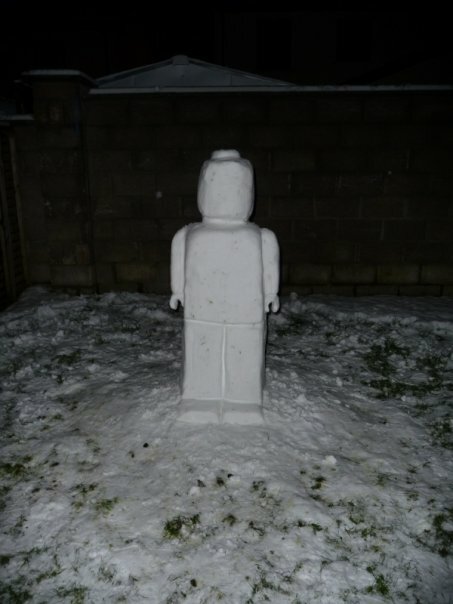 Aside from that, I suppose this is one of the best things I’ve seen in a very long time… when I complained about the snow in Dublin last week to my sister, she told me that if they got snow down in Kerry she would put me to shame. I took it as a throwaway comment, but it seems as though she was totally serious. Happy new year everyone, hopefully you’re all as warm and well as we are here, despite the icy conditions surrounding Komplett towers. The big thaw is on, everyone is back to work and with it we’ve got some special offers we thoughts you might be interested in… for the “back to work” vibe. This week, we’ve got a gorgeous display, a graphics card and a netbook bundle on offer. We won’t stall any longer, here are the products themselves. Samsung’s flair for design is something that comes up time and time again when we talk about displays. The fact is that they’re not the cheapest when it comes to hardware, but the kit is well worth the asking price when you factor in how good it looks. Samsung’s Syncmaster 2233SN is a 21.5-inch, widescreen display with a maximum resolution of 1920 x 1080, which should mean you’re not hampered at all when it comes to viewing high-definition content or playing games. The response time is low at 5ms, so sports fans and gamers should be well catered to. The case is a glossy black, tapering to a transparent bevel along the bottom of the display, with a nice, slim stand to prop the whole thing up. It’s relatively simple, but gives the whole affair a classy kind of a feel that many other displays don’t quite manage. Samsung’s Syncmaster 2233SN has been dropped to €144.99 this week, which isn’t a bad old deal at all. 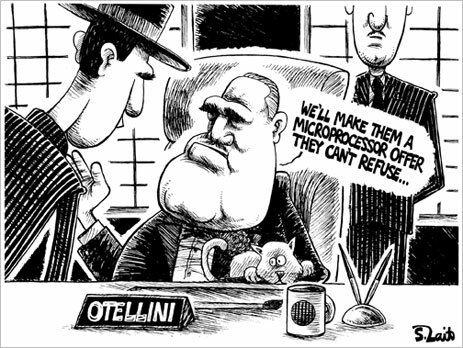 Intel and Nintendo in Console Talks? Reports indicate that Intel and Nintendo could well be in talks over the future of the gaming giant’s home console efforts, with Intel apparently pushing to supply the chips to power the successor to Nintendo’s Wii. The news comes from a widely circulated report from the Japanese publication Impress Watch, but given the fact that my Japanese is hazy at best, we’ve gone with TomsGuide’s interpretation of the news. According to the report, Intel has been “trying to push Nintendo into using its Larrabee graphics processor,” which is interesting enough in itself, given the uncertainty surrounding Larrabee at the moment.